Bad Dog - Dealing with Bad Dog Behavior. 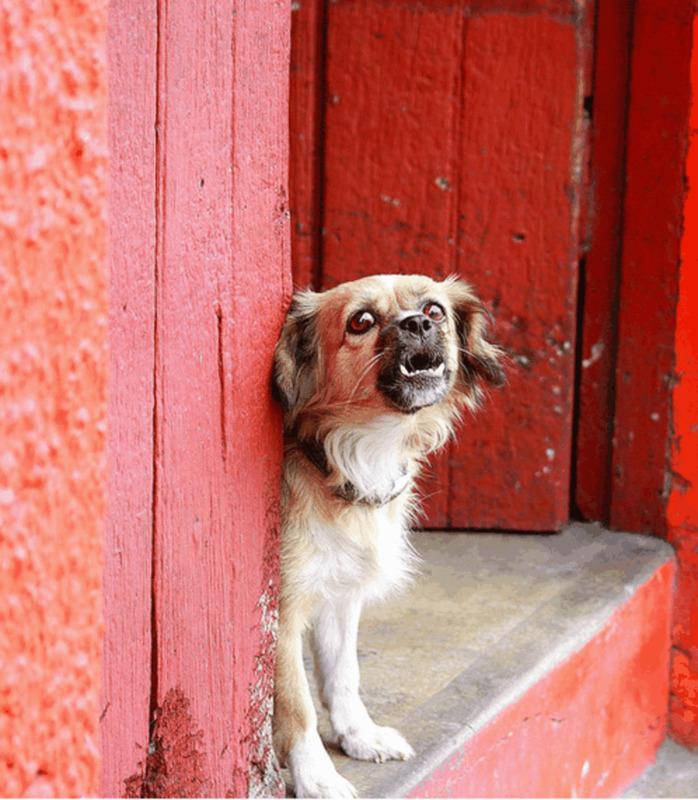 Where do bad dogs come from, and how do we deal with bad dog behavior? Dogs go bad because of miscommunication between owner and dog, not because of meaness or spite. Bad dog behavior can always be addressed with time, patience, retraining, and proper management. 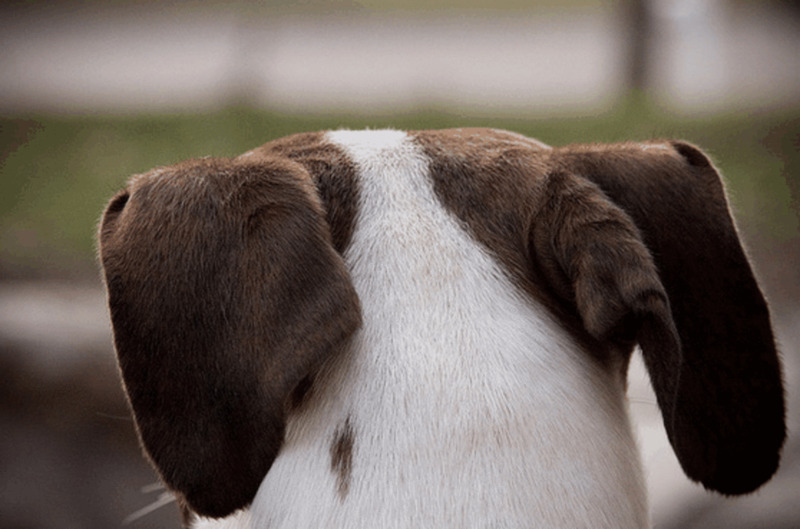 Here are some common reasons that people use for bad dog behavior. No dog is truly born mean. Some dogs may be born with neurological disorders that make them act out in unexpected ways, but there are few dogs who truly fall into this category. Poor breeding may produce a dog that is difficult to handle. A dog with unbalanced parents (e.g. timid, fearful, anxious), will be predisposed toward being unbalanced as well. That is why it is important NOT to get a dog from pet stores, online stores, or puppy mills. These establishments do not treat their dogs well, and are not careful with the temperament and health of the dogs that they breed. Nevertheless, even a dog who is predisposed towards fear or timidness, can be properly managed, and trained to counter their genetic weaknesses. If a timid puppy is properly trained, and socialized to a wide variety of objects, people, and dogs, he will grow up to be a confident, and happy adult. Bad Dog 1 - Born Mean. Bad Dog 2 - Vampire Dog. Some people believe that dogs turn bad after they have tasted blood, whether animal blood or human blood. Dogs are not vampires. They do not suddenly think of all humans as bags of blood, after they kill a gopher in our backyard. In fact, the original breeders of my Siberian Husky, the Chukchi, would let their dogs free during the summer months to hunt for food on their own. When these dogs return home after hunting, they are playful and loyal companions to both adults and children in the tribe. Bad Dog 3 - The Dog that Hates Me. Many people believe that a dog's bad behavior is a result of hate or spite. Bad dogs are bad because they do not understand what we consider bad and what we consider good. Dogs are not humans, and they do not communicate in the same way that we do. This results in frequent miscommunication, which may cause dog aggression or other bad dog behaviors. Always be consistent with our dog, and teach him a set of commands and hand gestures, so that we can successfully communicate with him. Bad Dog - Always be consistent with your dog, and teach him a set of commands and hand gestures, so that you can successfully communicate with him. The most popular reason today, for a bad dog, is probably dominance. Popular dog training shows such as The Dog Whisperer, place a heavy emphasis on physical dominance and confrontation. While dominance, is sometimes the reason for certain bad dog behaviors, the problem is more likely from fear, stress, frustration, boredom, bad communication, or simply lack of routine and structure. Bad Dog 4 - The Dominant Dog. Most bad dog behaviors can be retrained and managed. All it takes is time and patience. The only case where retraining is not possible, is when the bad dog behavior is a result of health issues, such as a neurological disorder. Bring our dog to the vet once every year for shots, and a physical examination. This will help us identify and address health issues, before they become bad dog issues. Join the HubPages community and share your dog stories with us. I have a six month puppy that I got about two and a half months ago. He recently was neutered. The problem I am having is with being excessively hyper and unable to relax. He is constantly roaming, sniffing, and biting. When left alone, he rarely has accidents (except for occasionally when we are at work or overnight), but when around us, he wanders and urinates. I've caught him in the act, have kept him leashed to me, and restricted his access to the rooms. He just can't relax, ever. He never lets himself sit and nap, even when it's obvious he is tired. Is this normal? I have 2 yr old Boston terrier an rat terrier mixed. He loves my fiancé the most but lately he's going an peeing on his pillow an just his side bed mostly just on his pillow. What does this mean? Used to never do this an now he does it some times. Hey Sean! Good to hear that Jax is doing so well. 1. Supervision. This is very important especially in the beginning because I want to catch them as soon as they *start* to dig. In this way, I can teach them where it is ok to dig and where it is not. Like potty training, it is important to not only maximize successes (i.e. teach my dog where she can dig) but also to minimize mistakes. At the start, I also watch them from inside the house, so that they learn that I am supervising even when I am not outside with them. 2. Other outlets for digging. Huskies love to dig to hunt for earth critters. It is part of their breed makeup. Therefore, we set aside a section of the backyard for their digging pleasure. When my Husky digs on the grass, I make sure I am there to no-mark, stop her, and then I show her where it is ok to dig. During walks, I also take them to trails where they can enjoy digging. 3. With my Husky Lara, it also helped to increase her daily exercise. Hello shibashake! I've talked to you guys before about my husky/GS mutt Jax's cautious behavior off leash in the woods...first off I'm happy to say he has MUCH improved. Still very cautious but in a much more confident manner and is frolicking in the woods happily these days : ) However, him and his newly adopted brother Zeus (GS/husky mutt) but more GS than Jax, have found that digging holes in the yard is just about the most fun two pups can have haha...Any tips on how to discourage this behaviour? I've caught them in the act and scolded them/crated them for a while..But I can tell it does nothing and I'm at a bit of a loss.. Would love some advice.thanks! That is great news! Glad to hear that your Shiba girl is doing so well. Big hugs and thanks for giving us an update. I just wanted to let you know the ankle biting situation is improving. The biggest thing that helped was that Dakota happened to run up the stairs NEXT to me once - instead of snapping at my ankles the whole way up, AND I happened to have a treat in my pocket at the time. So when we reached the top I immediately praised her and gave her the treat. She definitely connected the two and remembered it. Now I anticipate when she’s likely in the mood to chase my ankles up the stairs and make sure I have a treat on hand to forestall the ankle biting. She has always responded better to positive rather than negative consequences. I don’t think time-outs work very well with her since apparently just the act of whisking her off to a bathroom is enough of an attention-getting reward for her. I keep a few of those 1-1/2 calorie mini training treats in Ziploc baggies in strategic locations and they seem to be working well. If I start to feel teeth, I immediately stop walking but don’t give her attention, so that seems to help deflate the chase instinct too. If it continues, she goes in a time-out. So I think it’s going to end up being a combination of a treat when she walks behind or next to me, and a time-out if she grabs my ankles, even though I don’t think she cares about the time-outs as much as simply NOT getting a treat. Hopefully she will forget about ankle biting in time and I can wean her off treats for simply climbing stairs without ankle biting. Thanks for all your help! Wow! Thanks for the detailed explanation. I think I understand the situation a bit better now. For "No" or the "no-mark" to work, it has to be associated with an effective consequence. What is "effective" will be highly dependent on the dog, the environment, the current situation, the people around, etc. When Sephy chases after moving things, pounces on them, and bites, he gets rewarded just from doing those things, because he likes chasing and pouncing. Shibas were bred to hunt, so I suppose when Sephy does these things, he is doing a mock hunt, and fulfilling one of his key instinctual drives. Just ignoring Sephy while he is doing these things is not an effective consequence (in this particular case) because he is not after my attention. Rather, he is playing a chasing and pouncing game based on movement - any movement (even from the wind). 1. It takes away Sephy's ability to continue with his chasing and pouncing. 2. It takes away a very valued resource for Sephy - his freedom and his ability to be around his people. If I let Sephy out when he screams or digs, then the consequence is no longer effective because now, he can very quickly get back his freedom and go back to business as usual. Instead, what this does is rewards Sephy for an undesirable behavior (screaming or digging or scratching). He will quickly learn that he can do whatever he wants, and there are no consequences because he can get out of it by screaming. This encourages more bad behaviors, and also does not deter him from chasing and biting. Another important aspect for a timeout is that it be in a very low stimulus and boring area. This will help Sephy to calm down and also give him nothing interesting to do. This is yet another costly consequence that will make him think twice before jumping and biting on my clothes. I do not use crates for doing timeouts because I want Sephy to associate crates with *only* positive experiences. He sleeps in his crate, often eats in his crate, and we sometimes transport him in his crate. He views it as a safe area, and it is very useful for management and transportation. With Sephy, it also helps to have alternative outlets for his drive to hunt and chase. I play structured chasing games with him, to give him an outlet for his need to chase, pounce, and bite. For example, Sephy likes playing the flirt pole game. We have great fun playing it together, but just like anything else, he has to follow structured rules during play. Otherwise the game stops. Since Sephy loves the game, he is very motivated to follow the rules. Sephy also gets to do pouncing when we go on hikes. He will pounce on bugs or lizards. He never catches them but he has fun pouncing. Thank you for your fast detailed response. I read through your article on the yes and no marks and ours are “good girl” and “no”. She responds to “good girl” but ignores “no” especially when in ankle-biting mode. Dakota stopped minor leash biting early on, but does try to lunge for other dogs encountered on walks and is excited to play with them. Due to an active family sports schedule, and bringing her with us to many crowded softball tournaments since she was tiny has made her very dog and people sociable. I tend to walk at a very brisk pace normally and do not slow for dog encounters, so she (usually) doesn’t expect me to stop anymore after I say “leave it” and keep up the pace. Dakota definitely responds better to positive reinforcement than anything negative. Anything physically negative, such as pushing her teeth off my shin and saying “no”, or pulling her off with a leash left on in the house and a “no”, results in worse behavior, as she goes into rough play mode and bites even more. She did learn to stop momentarily by my saying “off” and giving her an immediate treat, but now I think she purposely bites or pulls on clothing just so I’ll say “off” and she’ll get a treat, since she’ll stop immediately and look at me expectantly. An immediate short time-out in a bathroom (lights on, door closed) did work great for a while. After just a few seconds she would dramatically sigh and lay down, so a couple of minutes were more than enough to calm her down. Upon opening the door she would slowly walk out looking humiliated and lie down elsewhere. But now she’s learned that if she scratches or bites the walls or door, I will open it (before she does any damage) so of course she does it immediately. A time-out in her crate is very effective for calming her down quickly too, and has not lessened her liking it in there. After a few minutes, we open the door and she remains inside for a while on her own. She sometimes even falls asleep and I think she forgets why she is in there – or doesn’t care. It is in our family room and is cozy and soft. She goes in there off and on during the day on her own, and puts herself to bed in it at night, though we close the door when we go to bed. (I wouldn’t have believed it if it were not something I see every day.) However, soon after being let out, she goes right back to being bitey – especially in the evening – we call 7pm to 10pm her witching hours. Taking a long walk during that time is very helpful, but we can’t walk for 3 hours every night, so I keep a supply of new chew toys on hand to distract her for a while if we want to watch a movie or have a conversation without having our ankles attacked for attention. If Dakota is biting my ankles when I walk across the room or go on the stairs, ignoring her by stopping and turning around with arms-crossed stops her fairly quickly, since I become boring, but as soon as I move again her teeth are attached to my leg. Right now, I’m thinking a lot more repetition of this might work in the long run, but I don’t see it ending anytime soon and it can be quite painful. So I was hoping for other ideas. Distractions like a game or training exercises help temporarily, but it’s tricky to not let her see that as a reward for ankle biting. I agree that she picks up on our energy. For example, if I get frustrated and angry because she practically trips me on the stairs while carrying laundry, and say no and shove her away; she gets even more energetic and bitey. So I try to project calmness. However, remaining calm, stopping, and waiting for her to let go only delays the bite-hold as soon as I move forward again. It’s the same situation when trying to come in the house when she wants to stay in the yard and play, or when we get near home at the end of a walk. I definitely agree when you say not to let them get away with anything you don’t want them to do – even once. I knew this before getting her, so we have never let her on the furniture and the thought doesn’t even occur to her anymore. We had a certain potty spot in the yard that we wanted her to go in that we brought her to each time. There was only one time that she went elsewhere and then it was over – now we can’t get her to go in the potty spot despite all attempts, probably since it is too near the house. She insists on pooping as far from the house as possible – preferably on walks as far from home as the walk allows, on the very end of the leash away from us – and doesn’t like to be watched while in process. She looks us in the eye and so we turn away – it’s pretty funny. She is very clean and dainty. Just one of her many quirks - such as getting upset if she notices something out of its usual place. I want to be able to leave her with family members when we go on vacation during the coming years, but that is out of the question with this biting behavior, even though they are all dog lovers with great backyards that she loves. So far we have taken her with us everywhere – she is a great traveling companion by car – but eventually we will go someplace where that won’t be possible and I would rather be able to leave her with family that she knows than at some kennel. Other than the ankle biting, she is never aggressive – no food or chew toy guarding, allows hugging, daintily and gently takes treats from hands, releases fetched balls (usually), accepts non-gentle petting from crowds of kids at sports events, obviously loves being admired as she struts through the pet store, falls asleep getting brushed, and just wants to be wherever we are. We grew up having dogs and had a beloved Siberian husky for 15 years before Dakota, but have never experienced anything like this relentless ankle biting! Yeah, Sephy was also very bitey when he was young. Can you elaborate more on the techniques you have tried and on your Shiba's response? In particular, I would like to hear more about "removal to boring room" and "short drag leash". The more detail, the better. 1. My energy is very important. If I am angry, frustrated, scared, or upset, Sephy will pick up on my energy, get stressed himself, and act even more crazy. This was one of the key reasons why I had a lot of problems with him early on, more so than other people, who were more calm around him. 2. Sephy is very stubborn, so it is very important to be very consistent with him and to not let him get away with anything. If I give-in even once, he will start testing his boundaries again. Consistency and repetition helps a lot with Sephy. If there is a no-getting-on-furniture rule, I make sure to enforce it every single time - no exceptions. 3. I try my best to set Sephy up for success. He misbehaves most when he is excited, and there are certain things that trigger his excitement. Since I know exactly what triggers his crazy behavior, I can anticipate it, and then have a plan for addressing it. For example, Sephy used to leash bite. It was pretty bad, and he was starting to also jump on me and bite at my jacket. He would usually do this during walks, when he got excited, for example when he saw another excited dog. Therefore, when I see dogs at a distance, we would create as much distance as possible. This helps to lower his excitement level. I also use barriers and redirect him before he starts to react. This sets him up for success, and also prevents him from practicing the leash biting behavior. If I do not catch things soon enough, or if he has already started to leash bite, then I quickly no-mark (Ack-ack), so he knows which behavior is undesirable. Then, I hold his leash close to his collar (so that I have good control over him), and I march him home right away. I make sure to always have a detailed plan so that I can take decisive action, stay calm, and stop him from performing the behavior right away. When he bites on me or other people at home, he goes to timeout. In this way, he learns that if he does not interact well with people, then he does not get to be with people. If he repeats the biting behavior when he gets out of timeout, he gets puts back in again for a longer period of time. Consistency is key. In dog training, especially in Shiba training, it is not just the technique that matters, but also timing, consistency, and energy. Dear shibashake, thanks for an awesome website! 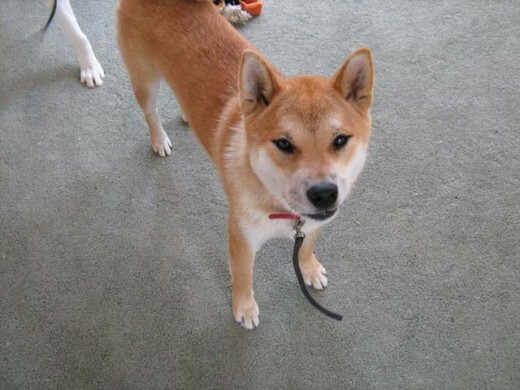 I did a lot of research before getting our shiba pup at 8 wks, and who just turned 1 year old. She's adorable and affectionate during the day, but at night turns into an ankle-biting demon dog. I think we have tried everything - squirt bottles, ack-ack, removal to boring room, high yelp, removing ourselves from room, stop moving and ignore, short drag leash, etc. She's especially bitey when we're trying to walk up or down the stairs, or when we go into the house from the yard and she wants us to stay out, and when we're on the home-stretch of a walk. She especially bites at flapping bathrobes or wide pant legs. She gets plenty of exercise as I work from home and take her for a 1/2 to 1 mile walk mid-morning, late afternoon, and evening, (in all types of weather) plus dog park visits at least twice a week. She's extremely sociable and loves all people and dogs. She will try to chase anything moving though, squirrels, blowing paper, deer, geese, etc. However, she recently bit the flapping pant legs of a man at the dog park instead of playing with his dog, so I immediately apologized and took her home. She seems to have good bite inhibition when it comes to actual human flesh and it doesn't really hurt, but she will pull and tear at flapping clothing, which is especially dangerous on stairs. Part of this may be a dominance thing as she will never do this to my husband but usually just to me - her primary caregiver. I do try to follow the nothing-in-life-is free method and also don't give in to her amazing cute shiba face without at least a sit, down, or shake command. This really needs to end and I'm out of ideas. Any advice would be GREATLY appreciated! Thanks! Yes, Penang has great food! Otherwise when it comes to dogs...our furry friends are often so badly treated in. My personal website needs to be updated a lot! Sorry..I feel really embarrassed..
yes, I do know, some are heart-breaking..but true...and that is how I experienced it all..and hopefully some people may read and wanting to support BAWA and make the life better for the dogs. So where in Malaysia? I have lived there, in Sarawak, Malaysian Borneo, but also spend some time in Penang. The links should work, I just tried it myself, and it worked. if there is still a problem, please send me a message and I will raise the issue with hubpages. Thanks for a great hub. I was happy to read about the difference between desensitization and flooding, and it makes great sense to me. I can imagine that if you are a very experienced dog trainer - like Cesar Millan- you know when flooding is suitable to use or not, but most of us, even if very used to and good with dogs, are not that extra ordinary with dogs as we must say that a person like Cesar is, so we should likely keep on to the desensitization process to prevent a dog from being traumatised. So thanks for your encouragment to keep away from flooding, I think most of us should take that advice very seriously. 1. She is more excited when there are more people around. 2. She is more confident when her peeps are around. 3. She wants to get to the "stuff" first - kind of a friendly sibling rivalry thing. With her, I use the start-stop leash training technique. If she pulls, we stop and just stay there. My Shiba Inu is pretty Zen when walking, so we all just wait together. After a bit, we start walking and try again. If she pulls again soon after, then we stop and wait for even longer. If she pulls too much, I turn around and walk back home. If she pulls too much, then we just keep making backward progress until we are home and the walk ends. 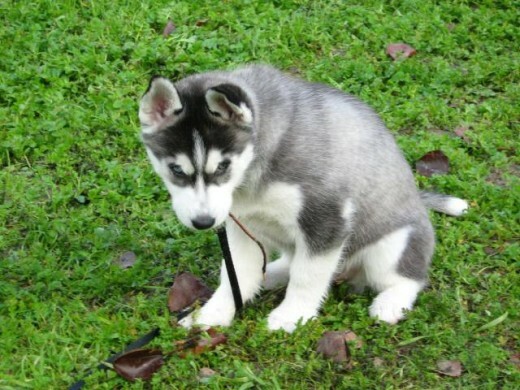 Another thing that can help is to first practice leash training as a group in the backyard. There are fewer distractions in the backyard so that gets everybody used to walking together without too much external stimulus. Hi, I need a little help I have a 4month old Doberman pinscher. He does pretty well walking on lead heeling beside me, his wariness of strangers and other dogs has reduced. Now here's the thing, my older sister has just recently wanted to join her dog and herself along. Since pack walks are recommended I agreed. Her 5year old pug pom mix isn't aggressive towards my dob he sort of just ignores him. My dob is very friendly towards him inside and out in the yard. But when we try walking them my dob starts pulling and yelping and whining that he wants to walk ahead. Of all of us, even the humans. I give him the correction tug but he ignores it starts pulling into a run. So I tell my sister to keep walking and she does, we turn away and walk down. Then I turn back to join my sister and her dog and the whole ordeal starts again. So I cross the street and ask him to sit which he is reluctant to so I sit his rear down then ask him to laydown he does. But starts whining and licking his lips uncontrollably, I don't know why he's so anxious and stressed. I take him for 3 1-2 hour walks daily. He does just fine with little need for me to correct. But if my sister and her dog are present, then he starts doing little jolts and sprints trying to run off and when I correct him with a firm no he jumps up trying to nip me in the face or he barks loudly and growls, his tail is wagging at the time. I really does stress me out. I keep cool got as long as I can, but after 45 minutes of getting nowhere i'm fed up and I take him home. Help. 1. When she makes a mistake, I calmly no-mark her (ack-ack), interrupt her, and take her outside. 2. If she continues doing her business outside, I make a very big deal of it and reward her with treats, and a very fun game. 3. Then I come back in alone and clean up the mess. When she does it inside, she just gets interrupted and taken outside. One thing that helps with my dogs is that I teach them door manners. -Before our walk, I get Lara to come by the door. She has to Sit and Stay. -I put on her collar and leash. I reward her if she is calm. -I give her the Stay command again. Then I open the door (while holding the leash). -If she breaks her Stay, I no mark, close the door, and repeat. -Then, I give her the Break command and we go for our walk. We do this every day before our walk and repeat this when I have to open the door. This teaches her that she gets rewarded really well with food and a nice walk if she follows door manners. If she tries to bolt, the door closes and she does not get to go for her walk. Hugs to Jayden. She is a cutie! My 1 year old unaltered male pit bull, Jayden has lately baffled both my neighbor and I. You see, my neighbor had adopted his labrador mix a few months ago, also male, and as soon as Jayden saw him through our sliding glass door, his pupils dilate and the fur on his back raises. He'll jump on the glass door and howl as if someone were inflincting immense pain on him. I figured, "Ok, have to be extra careful you don't get out!" seeing as we use a cable. Well, our roommate had broken the door and had not told me, so as I'm letting Jayden inside, the door gets stuck. And out comes Buddy(labrador mix), and then, out goes Jayden! Panicking, I grab my leash and see Buddy dart inside his house, Jayden close behind. When I got there..... They were playing! This happened once more when a dog was walking outside and he got out and trotted alongside him. This is only with animals, he could care less about people. What do I do? I decided against using medication. My daughter's dog is a nightmare. As soon as we leave the house, he causes thousands of dollars worth of damages. We tried everything. He tore up and bit through doors, tears up linoleum, pees and defecates on any bed in the house. There isn'tt one door in the entire house that isn't completely ruined. He has taken the bracing out of the walls. He does all kinds of bad things as soon as he is alone. Finally, we had to put him in a kennel. He's in one right now, and he will not stop barking. For the past month, I have been taking the dog out every hour to get him out and not so bored. So tonight I thought I would leave him out for just a half hour while I went out. When I got back, he had ripped big chunks of linoleum off of the floor. I called him but he didn't come. So I went to see where he was. I found him in the living room tangled up in the curtain strings and he couldn't get out. If I am in a room with a door closed, or if he thinks I am gone, he cannot handle it. He goes berserk. I don't know what to do. He is literally ruining the house. He probably doesn't understand what he does, but he sure knows when I am mad, as he cowers down. He has severe separation anxiety. Should we put him on an antidepressant? Hmmm, that sounds unusual for a Shiba puppy. Sephy makes a lot of noise when he has to go. Do you know how things were like at her breeder's house? Was she mostly allowed to roam free in the house or was she mostly kept outside? Did the breeder crate her? If so, usually for how long? What does the breeder say about her potty habits? Another possibility is that there may be some physical issue that is making it difficult for her to control her bladder (e.g. urinary tract infection). But if that were the case, she would probably also have mistakes in other places during the day. I would chat with the breeder first and see what she says. If puppy is used to going in her crate, then one thing that may help is to keep her in an enclosure instead of a crate. I put puppy pads and some bedding in the enclosure and put my puppy in there when I am too busy to supervise. In this way she has an interim place to potty if she needs to. I make sure to praise puppy for doing her business on the pads, but I reward her best for doing it outside. This will also remove the crate from the equation so that she does not keep practicing going inside it. Thanks for responding! We were home at the time, and at 2am we took her out to pee, but when I woke up at 5am there was pee in the crate. Our shiba puppy is from a breeder. She didn't pee anywhere else, just the crate. How long was puppy in the crate? Were you home at the time? Does puppy pee anywhere else in the house or just the crate? Where did puppy come from - pet store, online store, registered breeder, other? Puppy mill or pet store puppies are often caged for long periods of time, and may have gotten used to doing their business in the cage/crate. A lot of books, websites, and other resources say that Shibas are very clean dogs and never want to spoil their crate. But recently our 10 week old Shiba peed in her crate. We are confused about this behavior and would like to know what to do or what's wrong. My shih tzu change behavior on three occasions: when ovulating, very temperamental; when pregnant, loving and attention-seeking; and when the puppies are around, aggressive. She is just a playful and energetic dog when not in those phases. Walking is our favorite exercise. 30 mins in the morning and another 30 mins before going to sleep. She is left alone with my labrador during the day on weekdays but she seems to have no problems with it. I love my dogs like they are my kids but I do respect them being dogs and so different from human beings. Thank you for this informative hub. I might need this in the future. I encountered similar behaviors with my Shiba Inu. What really helped for us, is using a drag-lead and setting up a some consistent house rules. For example, I have a no-getting-on-furniture rule. If Shiba tries to get up on the sofa, I no-mark him and body block him away. If I am too late, and he has already gotten up, I no-mark him (Ack-Ack) and lead him down using his drag-lead. Then I get him to do some obedience commands and to go to his Mat/Bed. I reward him for doing those commands. If he keeps trying to go back onto the sofa, then he gets a time-out. It is important that everyone is consistent with all the house rules. Otherwise, the dog will get confused, and may actually increase the frequency of those undesirable behaviors, because 'sometimes' it works. 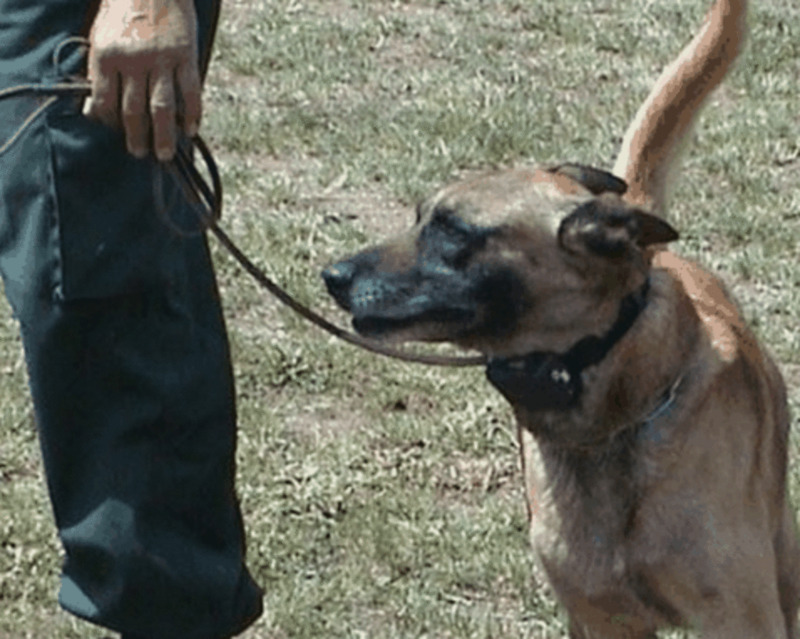 For stopping undesirable dog behaviors, consistency and timing are both very important. If the dog has a bite history, it is probably best to get a professional trainer. 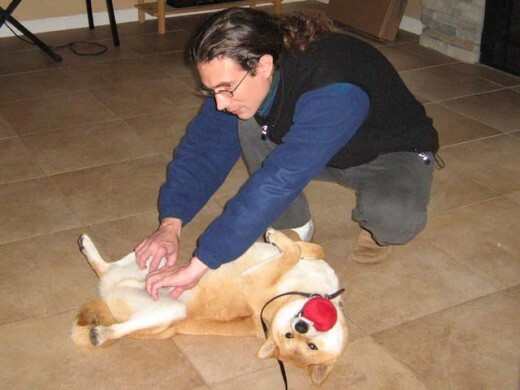 I hired several professional trainers to help me with my Shiba Inu. Finding a good one was not easy, but it was worth it. I own a beautiful 3 year old Alsation who I love to bits, but he has a few problems. Firstly, when given a ball/toy, he tends to push the ball into your legs, trying to grab you and trip you up. I've been told this is a sign because of lack of attention, but he is made a fuss of all the time and gets daily walks. Also, my mother taught him that he could get on the sofa, which does calm him down, but I firstly, do not agree with it, and secondly, will not alow it when we eat- he does not try and eat your food, I just prefer not to have him on the sofa then. But, the problem with this is, when he is on the sofa, he will not get off. I try using a low tone of voice and stand over him, but he challenges me, and will bite me if I try to physically move him, and growl at me. Hes a jem otherwise, with lots of tricks under his belt and perfectly fine on walks. Please help!!! Hmmm, it could be a health thing. My Shiba is a lot more stressed and vulnerable when he is feeling pain or not feeling well. When in that state, he may sometimes use aggression to keep people away because he feels more threatened. Maybe he is feeling pain when he is peeing? How is the quality of his pee and poop? I would consider chatting with the vet and see what they say. In terms of the psst or tsch sound, as far as I understand it, it is a marker or form of communication. It is similar to saying No or Ack-ack when the dog does something bad, or saying Yes and Good when the dog does something good. My 11 week old American bulldog is the cutest thing for the most part a happy pup. Very laid back but usually when he is very tired and or after he goes potty he becomes aggressive growls and jumps up to bite me or my clothing. I usually command a stern NO OR STOP even the Caesar psst but it makes him more mad and lunges at me even once bit me pretty hard. I'm getting concerned for others safety if he cannot be trained out of this. Please help before I consider giving him up. I want to go the mile w him but is it me he is afraid of? ???? I wish I read this article earlier ! It sounds like it could be separation anxiety or hyper energy. Labs and Border Collies are both work dogs and extremely high energy. Therefore a cross would likely be very high energy as well and would require a fair amount of supervised activity every day. Dog daycare would be one possibility. Another possibility is to do group dog walks. There are several dog walking places here that do off-leash group walks at hiking parks. I have a 6-7 month old lab border collie that we adopted from a shelter about 2-3 months ago. He is very well behaved when we are home with him - he doesn't nip or bite at people and he doesn't chew on anything he shouldn't. However, lately he has been acting up and chewing up a lot of things while we are at work. We tried keeping him in a crate when we first adopted him, but he hated it so much and found ways to escape from the cage even though it was fully locked! Then we tried just letting him free roam the house while we are gone, which worked out well for the first week or two, but lately he is getting more and more destructive. At first, he would just occasionally chew up small things - for example, a sock we left on the floor or a water bottle. Now it has been getting worse - floor tiles, shoes, clothes, pillows, door mats, bed skirts etc. But he doesn't do any of this when we are home with him so it is hard to catch him in the act and correct him immediately. Do you have any advice on how to stop bad dog behavior that occurs when we are not home? We have a dog walker that comes over for 30-60 minutes on the days that i cannot stop home on my lunch breaks, so he is not completely alone the whole day. Plus he has many many toys to play with! I thought things would get better as he got more and more adjusted to our house and our schedule, but that does not seem to be happening. What has worked well for my dogs is to always remain calm. I find that when I yell at them, they only get more stressed, and behave in a more hyper fashion. Staying calm, helps them to stay calm as well. First off I want to express how delighted I am that you actively respond to readers! It is difficult to tell since I do not have much context. Dogs sometimes chew and act out of character when they are under stress. For example, when their routine changes, their health changes, etc. my dog just chewed up my comfeter and she is 11 years old. do you think it is because there was another dog at our house the other day? 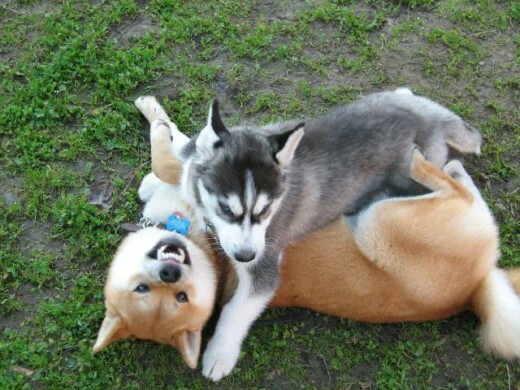 Congratulations on your new Shiba pup! "But then the game escalates very quickly and he starts using his teeth to the point where he draws blood and death-shakes my hand/arm/foot/elbow." When I played with him, I had very strict play rules and I would stop play very frequently so that he can calm down and doesn't get overly excited. We do obedience commands in between play sessions. Also, as soon as I feel his teeth on skin, the game stops. Having a drag-lead is especially helpful and doing time-outs were very effective for controlling Sephy's crazy behavior in the house. "He also likes playing tug of war with my fingers or alternatively the leash." Yeah, I had a lot of problems with Shiba Sephy and leash biting. What finally worked for me is that I would hold the leash very close to his collar and then briskly walk him home. If we are already home I march him to timeout. Having my hand close to his collar gives me better control of his head and walking quickly home engages him in doing something else so that he can't leash bite. Hei, great article! I have an almost 12wk old shiba boy. He's lovely, friendly, brave and quirky. But he bites. He doesn't bite stranger or my boyfriend, just me. Judging by his body language (shoulders, down bum in the air and tail wagging) he's initiating play - awesome, I get his toy, make him sit, high five with both paws and then only do I throw his toy - we play a shiba version of fetch. But then the game escalates very quickly and he starts using his teeth to the point where he draws blood and death-shakes my hand/arm/foot/elbow. Seriously struggling to curb his biting. He also likes playing tug of war with my fingers or alternatively the leash. Trying to pry the leash from him only ends up with me being bitten. For such a small pup he really has a lot of bite - and he's damn stubborn! Yeah I have faced similar issues in my neighborhood with off-leash dogs. It is a difficult issue because it is a human matter rather than a dog matter. I currently carry a small air horn with me so that if a dog charges, the noise from the horn will hopefully startle him and discourage him from coming over. Hopefully, it will also get the attention of the people around us and someone can secure the dog. I also try to walk my dogs during less busy times of the day and in areas where most of the owners are responsible and keep their dogs on-leash. I am so sorry to hear about your friend. It is great that you have adopted his dog and are providing a stable environment for him. I think that big changes such as these create a fair amount of stress for the dog. Given his age and breed (Dobermans bond strongly and they are very loyal), he is perhaps even under more stress than the average dog. Since he is a big dog and he is showing signs of aggression towards you, it is probably best to get a professional trainer to come visit. In this way, the trainer can observe the dog in real-time and see what actually triggers his jumping and snapping behavior. 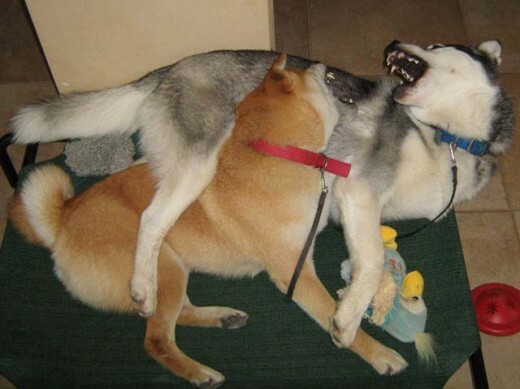 My Shiba inu used to exhibit similar behaviors. He would jump on me when I tried to stop him from doing something, and sometimes he would get into such a frenzy that he would do kill-moves on my jacket. He is a pretty small dog (35 pounds) and already his crazy behavior scared the hell out of me. The more fearful I got, the worse his behavior became. I can only imagine what it must be like with a large dog. That is why a professional trainer will be very helpful at this stage. A good trainer will be able to diagnose the source of the issue and get training started in the right way before any damage gets done. My friend was bitten by a she-dog with puppies. She thought he's invading her territory. "The dogs dont realise that they are very powerful and could easily knock us down if they play fight into us." Yeah my dogs are the same way. What I usually do is that I will step in and make them take a play-break from time-to-time so that they do not get too excited. I step in, stop play and get one of them to do obedience commands for rewards. This gives both of them the opportunity to calm down. Once they are calm, they can go back to playing. Another possibility is to non-mark them (ack-ack) when they enter my space or bump into me. Then if they ignore me and keep going, put them in timeout. However, I much prefer the first method because rather than just telling them no, it is giving them something else to do, which is always more effective. In terms of not wanting to leave Biscuit, some dogs are just more dog focused than they are people focused. My Shiba Inu is like that. Also having a new dog to play with is a very big positive, so it is very natural for a dog to want to stay with the new dog. When I got my second dog, I first started training them by having both of them on leash (only on a flat collar). In this way, they both learn to focus on people even while they are in the same room. First, I started out with having each of them far away from each other. A friend will work with one dog while I worked with the other doing focus and obedience commands. Once they were able to stay calm and focused,we moved them closer together like the desensitization exercises in the article, and repeated the exercise. My mother in law has a Beagle Tess; 4years Female, she recently took on the care of another beagle Biscuit; 7years Male. Since biscuit has arrived, Tess has stopped being obdient, doesn't come when called, runs away at dinner time and Ignores us. Tess is constantly guarding biscuit from us, like a sheep dog would to sheep. As soon as we go out side, Tess concerntrates on guarding biscuit and wont come to us. The dogs will constantly bite each others ankles and play fight when someone goes out to hang out the washing or to go out side. The dogs dont realise that they are very powerful and could easily knock us down if they play fight into us. Do you have any advice on the above? What it could all mean? I went through a similar thing with my Shiba Inu. It started because I was giving him collar corrections and one day he just decided to redirect his frustration out on the leash. He would get this wild look and start jumping and biting at the leash. When I tried to physically stop him, he would jump at me. It got so bad that he was starting to bite at my jacket. I got quite afraid of him when he got into his moods. But the more stressed and fearful I got, the worse his behavior became. At the end, all I did was hold the leash and he would start with his craziness. The most difficult part for me was getting over my own stress and fear. This I think was also the most important step. My dog was very sensitive to my emotions, so as soon as I got tense or fearful, he sensed it and got stressed out himself. So he started acting out even more, which made me even more stressed, and on it goes. Ultimately which technique will work best will be greatly based on the dog's individual temperament and on our own temperaments as well. When things were bad, I thought walks with Sephy were never going to get better but they have for me and Sephy, and will for you and your puppy as well. hi my pup is very active and we try to give her exercise by walking her, but it has become very dangerous for me to walk her alone, because once she sees the leash she gets hold of it and pulls on it and if i try to pull it away she jumps at me to bite me and the leash...it has become very stressful because i cannot walk her and when i do it turns into a tug of war...in the house she is obedient but on the leash she is very rebellious, what should i do to make walking enjoyable? i have tried giving her treats as she walks and does not pull or bite the leash and i walk her on a loose leash, but it only lasts until she jumps and bites the leash without stopping. The puppy is likely crying because she misses her mom and litter-mates. 6 weeks is a bit young for the breeder to separate the puppy from her mom. The usual recommended age is 8 weeks or older. When I got my Sibe puppy from the breeder she gave me 1) a smelly blanket smelling like the puppy's litter-mates, 2) food that the puppy is used to eating, 3) the puppy's favorite toy. Both the toy and the blanket helped the puppy get some continuity so that she had an easier time settling down. 1. Moving puppy's crate into your bedroom. The bedroom has your scent and it could help the puppy feel less alone. Both my dogs also sleep in the bedroom at night. 2. Putting a blanket in the crate that has your scent on it. 3. Putting a ticking clock close to puppy's crate or inside the crate. There are also heartbeat comfort pillows that are sold in Amazon and other pet stores. NOTE - Only put these things in the puppy's crate when you are around to supervise. You DO NOT want to put anything in there that the puppy may chew up and swallow when you are not around. When I am not home, I only put very safe chew toys in the crate, such as frozen rubber Kongs. Another thing that will help is to start training puppy using positive reinforcement techniques. 'Sit' is a great first command. I just bought a 6 weeks old siberian husky and she barks/howl a lot. I don't know what to do because she doesn't seem to listen. She barks the most when i put her in her cage. I want to teach her to like her cage because I would have to leave her home for several hours a day, alone. Please help me! One thing that has worked for me with shy dogs is to wait a far distance away from them - far enough that they are not afraid - and let them come to you. Don't sit too close and don't corner the dog. A fearful dog that feels cornered may respond with aggression. Often I will be holding something smelly that they like, for example cheese. I get down, completely ignore them (no eye contact and no talking), and start reading a book. If the dog starts to approach - I make sure not to give him eye-contact or talk. This will likely spook him. Instead, I just toss some cheese over in his direction and just repeat. It may take some time. With shy dogs I try to go at their speed and let them make the first move. Calm Pete & a very stressed out dog. I'm house sitting and for a friend for the next 10 weeks. He has a 4 year old Healer/Border Collie mix name Ruby. Ruby is very timid and usually runs away when she sees me but sometimes gets aggressive and charges towards me when I approach. The owner told me that Ruby would need some time to warm up to me (it's been almost 2 weeks). I always talk to her in a soft manner and walk slowly up to her in a non threatening way, but she still panics. I have been around dogs my whole life and have never seen anything like this dog. I know deep down that Ruby is a good dog, she acts completely fine when she's around her owner, but won't go near another human. Do you have any tips to help reduce Ruby's stress level? Thanks for sharing your dog story with us. 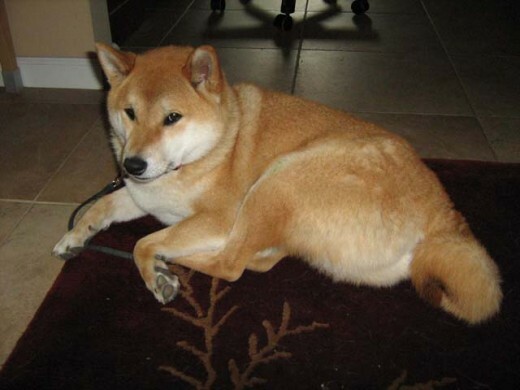 What has worked well with my Shiba Inu, Sephy are desensitization exercises. I would get a friend that he is less comfortable with to stand a good distance away from us, and make sure that Sephy is calm at that distance (on leash with flat collar). Then I engage Sephy in commands and reward him for staying calm and listening to me. If he stays calm, I walk one step closer, and repeat. Once I got Sephy to a state where he is staying calm a few feet from the person, I also got the person to throw very good treats next to him - but only if he stays calm. It is important that the person totally ignores the dog - no talk, no touch, and no eye-contact. The no eye-contact part is very important because that can be seen as an invitation to interaction or even sometimes as a threat. Let us know how things go with your lab. She sounds like a big sweetie. I have decided after reading this article that my dog shows the signs of being fearful. In some ways sometimes, you think she is being protective. When new people come around, she sort of circles them and stares at them and then at one point she lets out a sort of high pitched bark, like she is frightened or feels threatened. She is of course sweet and lovable around certain family members that she is familiar with but if she doesn't know someone, she acts in this strange way. She is black lab mix of 2 years of age as of september 2010. We are unsure of what she is mixed with. 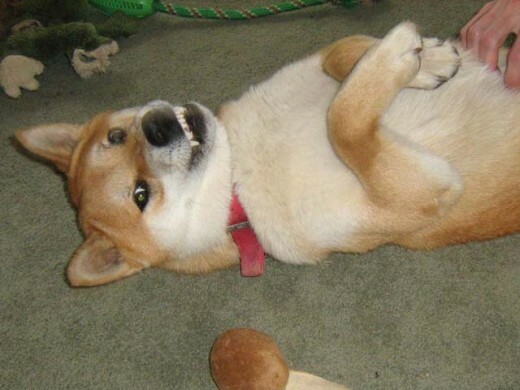 Yeah I had to go through some similar stuff with my Shiba Inu Sephy. He was a very mouthy dog. 2. Using a drag-lead and time-outs. Biting + jumping = don't get to be with people, no biting = gets attention and affection. When this started, I would push Sephy away, or shout at him, but this only got him more excited which made him bite and jump even more. I didn't know it at the time but doing those things was actually giving Sephy the reward of my attention. 4. Always stay calm and in control. Dogs are very sensitive to our energy and if we get angry, frustrated, afraid, etc- they will pick up on it and get even more amped up. What helped greatly with Sephy is to control my own energy. Getting a professional trainer can also be very helpful in these circumstances. You've done really great job having written this hub. Being a dog-owner for 2 weeks only I will take into consideration all your advice, because I don't want my dog to be bad one. Thanks. Wow. You took your topic very seriously and did a thorough job of dealing with it. I have a neighbor with dog behavior problems. He needs to read this. I'll be sending him your way. You have some very thought provoking articles on your site. Some of the videos are very disturbing - especially the one with the food aggression test at the Humane Society of all places. It is one of those things - we need standards and protections for dogs, but then sometimes those standards may get misused or may have bad results. As was shown in the video, when the wrong standards exist - the people involved will usually just follow the 'rules' blindly. I agree with you 100% on the polarization of dog training - it is totally unnecessary and it is detrimental to dogs. We should all check our egos at the door because this is about the dogs - full-stop. I liked your training video with Darren and agree with your balanced outlook on dog training techniques. I will definitely think upon the issues brought up in your blog and continue to read your very excellent articles. Darren is very lucky to have found someone like you. Thank you for such an informative and well balanced article! There are so many extreme viewpoints out there nowadays - even to the point where some trainers/organizations are saying "dominance doesn't exist" and dogs are no longer considered pack animals. There is so much info out there that is just attacks on other trainer's methods - but this is just pure good knowledge that works. Thanks again! It may be most helpful to find a good professional trainer and have her come over to observe your RedBone. 1. Follow the NILIF (Nothing in Life is Free) program. This just means that your dog has to do something for you first before he gets anything in return - including affection and food. Make sure that everybody else in the house follows the same thing. 2. Do short obedience training sessions several times every day. 3. Since he is protecting you and seems most bonded to you, let him know that his aggression is not a desired behavior. Every time he growls or shows any aggression, non-mark him and get him to give both you and the other person some space. This can be done through body blocks (if safe) or by using a lead. 4. Exercise and other activities will also help him get rid of excess energy and make him more receptive to training while at home. I have a red bone who is very protective of me. He isn't even a year old but huge and goes after my husband when he comes in the door. He only does this with him. He occasionally grawls at my son (who's the master) when I'm around. No one can get by the food except for me either. He never grawls at me. I'm afraid we will have to get rid of him if I can't fix this. Please help!